No risk matched betting is one of the best methods to make money online. You can earn up to £1000 per month risk and tax free all from the comfort of your own home. This definitive matched betting guide will take you through everything you need to know about no risk matched betting: what it is, how it works and who it’s for. Plus we clear up whether no risk matched betting still works in 2019 and share our top tips to maximise your income right now. You may have heard of no risk matched betting before but you’re still not sure exactly what it is and how it works. 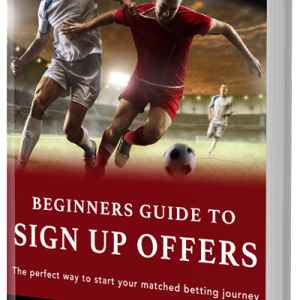 We’ve built this matched betting guide with complete beginners in mind and left no stone unturned. Read on to find out more about no-risk matched betting and how you can get started today. 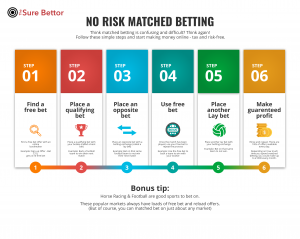 No risk matched betting or double betting as it’s sometimes called is a risk free betting method in which individuals take advantage of bookmakers’ free bets, bonuses and other promotions. Matched betting is an incredibly popular method of making money online and its attraction continues to grow as more people find out about its inherent benefits and potential. 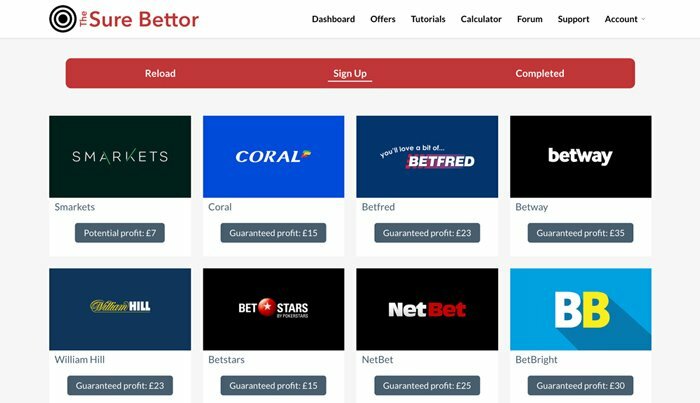 Individuals who take part in matched betting profit from free bets and incentives offered by UK bookmakers such as Coral, Ladbrokes and Bet365. There are hundreds of bookmakers all offering their own unique offers and promotions making no-risk matched betting incredibly profitable. Matched betting is not just for those based in the UK. 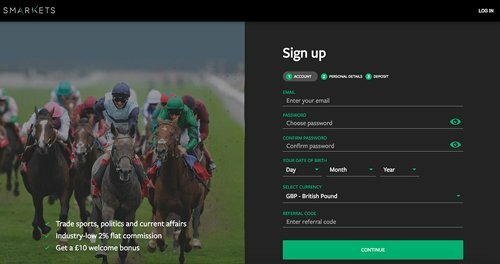 For those of you who are further afield, check out our dedicated matched betting outside the UK article or our specific matched betting USA page. So, how does no-risk matched betting work and how can it be risk free? How does no risk matched betting work? Before we get into the nuts and bolts of how to do no risk matched betting, let’s clear a few things up. The bookmakers don’t give out free bets without getting something in return. There is always some kind of qualifying criteria involved. Most free bets will look something like this: Bet £10, Get £30. So in the example above, you’d need to stake £10 before gaining access to your free bet. To guarantee a profit from this bonus, you need to use a risk free method called back and lay betting. It’s vital you understand how this method works as you’ll use this process in every matched bet you complete. 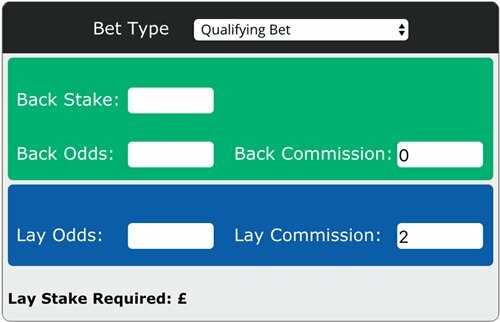 As this may be the first time you’ve heard of back and lay betting, let’s look into the details of what it is and why it’s so important for match betting. The first thing you need to know is that this method involves placing two opposite bets. A back bet and a lay bet. The first bet is called a back bet and it’s placed at a traditional bookmaker like Coral or Ladbrokes. This bet is used to activate or redeem your free bet offered by the bookmaker. Back bets are generally placed on a certain team to win an event or game. For example, you might bet on Leicester City to beat Man Utd or on a horse to win a race. The second bet is called a lay bet and it’s placed at a betting exchange such as Smarkets or Betfair (more on betting exchanges a little later). This bet is used to make your first bet risk free. Lay bets allow you to bet against a certain outcome. So using the example above, you’d now bet that Leicester City would NOT beat Man Utd. The lay bet is placed on the exact opposite market to the back bet. Therefore, these two bets are used to cancel each other out removing any risk from your bets. By using this no risk betting technique, the outcome is based on a mathematical equation rather than chance. Matched bettors know the exact outcome of their bets before an event even starts. This allows bettors to ensure a profit no matter what the outcome of their bets. Individuals use our matched betting calculator to work out the required bets they need to place and to ensure a profit with no-risk matched betting. Here at The Sure Bettor, anyone can use our matched betting calculator for free. For more information on how to use the tool, head to this page. If you’re a little lost at this stage, not to worry. All will become clear a little later in our matched betting example. Betting exchanges may be a new concept to some of you, so let’s find out what they are and why they’re so important. Betting exchanges are online gambling websites which match bettors together. They’re essentially marketplaces for punters looking to place opposite bets. Look at them like the eBay of gambling – they match buyers and sellers. Exchanges allow you to act as the bookmaker and sell a bet (lay betting) as well as buying a bet (back betting). They differ form traditional bookmakers in that they make their money by charging a commission on players net winnings. Bookmakers make their money by offering less efficient odds. Placing bets at a betting exchange is very similar to the process you use at a traditional bookmaker. One of the most important aspects of a betting exchange is that you can place both back and lay bets. To differentiate between the two markets exchanges use different colours. You’ll notice that we use the same colours as Smarkets do on our calculator. Matchbook use the same colours as Betfair. You can find more information in our beginner’s guide to betting exchanges. As I mentioned above, these two bets (the back and lay bet) effectively cancel each other out leaving you where you started. This allows you to make a profit with zero risk involved. Once the two bets have settled, you’ll have access to your free bet or bonus. You repeat the same no risk betting technique, placing a back bet at the bookmaker and a lay bet at the betting exchange. Only this time you use your free bet and make a guaranteed profit in the process. If you don’t believe us, take a look at our infographic below – our six steps to no risk matched betting success. How long does match betting take? I understand that you guys don’t have hours on end to spend match betting. Therefore you’ll be glad to know that the process above doesn’t take all that long. Seasoned matched bettors can complete a single offer in less than 5 minutes. That certainly makes it one of the most time efficient ways to make money betting. Whilst it may take beginners a little longer at first, you’ll soon get the hang of it. Especially with help from sites like The Sure Bettor. Beginners out there may feel a little overwhelmed so far. Not to worry, in the next section I’ll walk you through an example from start to finish to show you how simple matched betting really is. You can’t beat an example when it comes to explaining new concepts! In this example I’ll be taking advantage of Coral’s new customer promotion. Coral offer new customers a £20 free bet when they sign up and bet £5. This is an incredibly easy offer to complete and one that will help you get to grips with the basics of no-risk match betting very quickly. You can follow the process below to help you complete your first offer. So to kick things off you’ll need to open a new account with Coral. Click this link to register your new account. If you add a deposit method at this stage, I recommend you use a debit or credit card if possible. Other payment methods can restrict your matched betting potential and limit your earnings. You’ll also need to open a betting exchange to complete this offer. I recommend you sign up for an account with Smarkets. Once again, I suggest you use a credit or debit card as your preferred payment method. I won’t go into the details os creating a new account as it’s pretty self-explanatory. Once you’re all signed up, you need to place a bet of £5 to access your £20 free bet. This is what bettors call a qualifying bet as you’re essentially qualifying for your free bet. This is where the back and lay betting process we discussed above comes in. The aim is to find markets with close back and lay odds. The closer the match, the more money you’ll make from the offer. For your first few bets, I recommend looking for high profile football games. Premier League and Champions League games are ideal. For this step, you can either use oddsmatching software or manually search for the best markets. Both methods have their own benefits and drawbacks. To keep things less expensive for you guys, I’ll show you how to use the manual process in this example. So I’m going to look for a market with back odds of around 2.0. I’ve found a market with back odds of 1.75 at Coral. This is a premier league match between Leicester City and Bournemouth so there’s plenty of betting activity. Once I’ve found a potential market, I’ll check the lay odds at the betting exchange. Ideally the lay odds want to be as close to 1.75 as possible. The lay odds for this market are 1.74 at Smarkets betting exchange. Note: The lay odds at Smarkets are in blue. It’s quite rare to find markets where the lay odds are lower than the back odds, but this should be your aim. By using our matched betting calculator I can work out the exact amount of money I need to place on the lay market. Select the ‘Qualifying Bet’ option and enter the figures. I’ve set a lay commission of 2% to account for the Smarkets rate. If you’re using a different betting exchange you can change this figure accordingly. 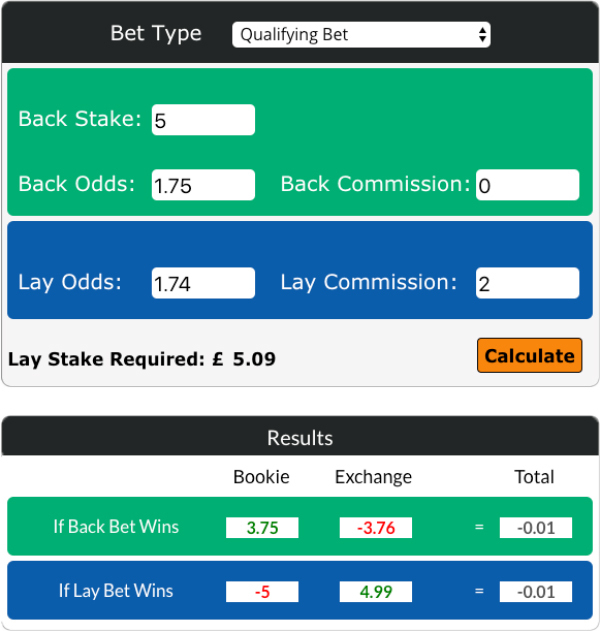 So the matched betting calculator tells me I should place a lay stake of £5.09 at the betting exchange and I’ll lose £0.01 qualifying for my £20 free bet. If you’re happy with the outcome of the market, you can go ahead and place your bets. If you feel there is more value to be had, go back and find another market. There’s always loads of betting markets available and it’s certainly worthwhile checking a few out. I’m happy with the outcome in my example so I’d go ahead and place my bets. Pro tip: always place your back bet before your lay bet. Now you need to wait for your bets to settle and you’re half way to completing your first match betting offer! The next stage is to check that your free bets have been credited in your account. They may take a few hours to appear so patience is key here. Coral display free bets next to your account balance in the top right hand corner. Note: I have three bet tokens available as I’ve already used one of them. Coral give you four x £5 free bet tokens, totalling £20. The next step is to place your free bets and make a guaranteed profit. Once again, the aim is to find a close match between the back and lay odds. The closer the match, the more money you’ll make. I’ve found back odds of 7.0 at Coral. And lay odds of 8.0 at Smarkets. This isn’t as close as I would like, but I’ll still make a decent profit. Similar to step 3, if you think you can find a more profitable market, go ahead. The more markets you test in the calculator, the more profit you’ll make from the free bet. Similar to step 3, I’ll use the matched betting calculator to work out how much I need to place at the betting exchange. You can leave the ‘Stake Returned’ box alone for this offer. Overall, the Calculator tells me I need to place a lay bet of £3.76 and I’ll make a profit of £3.68 from one of my four free bets. How much can you make with no risk matched betting? So now you’ve seen the matched betting process in action, let’s look at how much you can earn with no risk matched betting. As with most things, people often want to know the potential earnings before getting started. As you can imagine, this is incredibly hard to determine and one figure isn’t going to be representative for everyone. It totally depends on how much time you devote to no risk matched betting and how much money you make from each specific offer. Having said all that, most serious matched bettors earn in the region of £500 each month with more experienced bettors earning closer to the £1000 mark. As you can see, match betting can be incredibly profitable. If you put in the time and effort and learn how to maximise your income you’ll be able to bolster your bank balance in no time. For the time investment, match betting can be incredibly rewarding compared to other methods of making extra cash online. You can earn north of £40 an hour when you know what you’re doing. In the UK, all gambling winnings are 100% tax free. The Government get their cut directly from the bookmakers. Therefore, for matched bettors there’s no hassle dealing with the tax man as they don’t take any of our profit. By now, hopefully you understand that matched bettors take advantage of bookmakers sign up offers– promotions they use to incentivise new customers to open an account with them. Ladbrokes offer a £20 free bet when you sign up and bet £5, similar to the Coral example from above. This is just one of many similar offers out there. With the huge number of online bookmakers these days, there is plenty of profit to be made from sign up offers. At the time of writing there are over 50 sign up offers matched bettors can profit from with a combined value of over £1200! These ‘new customer promotions’ offer you the quickest bang for your buck and are all incredibly worthwhile completing. Once you’ve completed all the sportsbook sign up offers, you can move to Casino and Bingo sign up promotions. Though there are less of these offers readily available, there’s still plenty of profit to be made. Once you’ve completed all the sign up offers it’s time to move on to reload offers. These are promotions for existing customers who already have betting accounts open. Once the bookmaker get people signed up, their job isn’t over. They continually need customers betting on their platform. Therefore they offer ongoing promotions to keep customers returning. There are plenty of these offers available on a daily basis and this is where the long term, ongoing profit is made with no risk matched betting. You’ll often find plenty of reload offers available on large, popular sporting events around the world. Such things as the Football World Cup are great examples. There are different types of reload offer out there, but using matched betting you can profit from a lot of these promotions on a regular basis. All in all, matched betting is a great option for those looking to earn a little extra money or a full time income from the comfort of your own home. One of the questions we get asked a lot is whether matched betting in 2019 is still worth it. 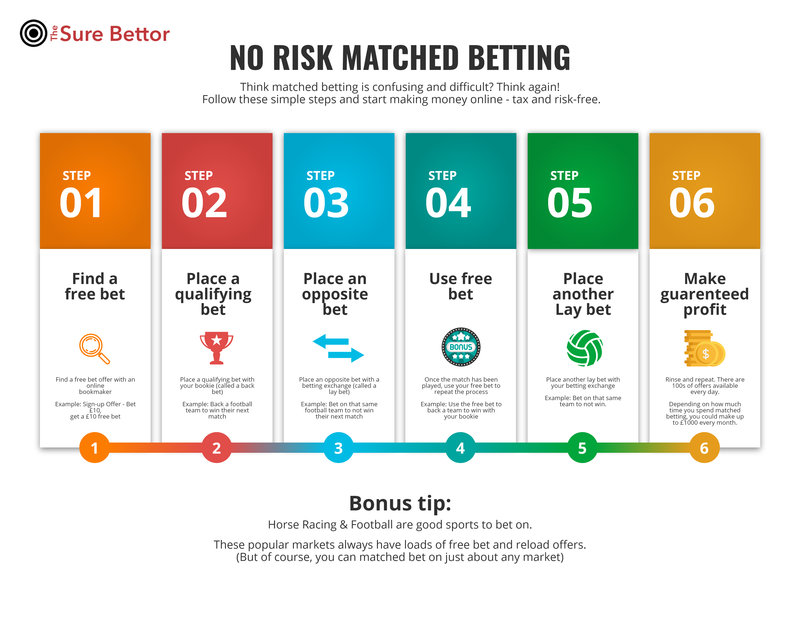 Individuals are often unsure about the longevity of no risk matched betting and potentially how the bookies have clamped down on matched bettors and those taking advantage of their promotions. The bookmakers use incredibly sophisticated technology to track the behaviour of their users and it’s unrealistic to assume they can’t spot matched bettors. However, it’s in their interest to keep users active and placing bets on their platform. As long as something’s in it for the bookmaker, they’re happy. Whilst it’s fair to say matched betting has changed a lot in the past 5 years or so, it’s a myth to say matched betting is no longer profitable. As we’ve already discussed, matched betting is still the number one method to make money online and it’s arguably more profitable than ever. I can only see this trend continuing as we head towards 2020. For some of you out there, match betting may seem too be good to be true. And we’re often told that when something seems too good to be true, it often is. This begs the question is matched betting legal in the first place? You’re probably thinking you can’t make money betting unless you happen to pick the right horse or team on one occasion. I’m completely with you – making money with traditional gambling is certainly very difficult. However, matched betting is not gambling and this process is completely legal. As I explained earlier, matched bettors follow a proven strategy where nothing is left to chance. No more worrying about whether this is a legitimate way to make money online. If you’d like some more information the legality of no risk match betting, check out this article. Let’s look into these tips in more detail. Double checking everything is one of the most important tips I can recommend in 2019. There are quite a few moving parts to match betting and it’s therefore necessary to check for any mistakes on a regular basis. One error in calculation could prove costly. As well as checking for mistakes, it’s also important to check the bookies terms and conditions. Each promotion typically comes with pages and pages of jargon filled small print that most bettors don’t bother reading. This can be a costly mistake and whilst reading the T&Cs is a boring and tedious process, it’s likely to save you a lot of money. Picking a betting exchange is an important part of no risk matched betting in 2019. It has a direct impact on the amount of profit you make. There are a number of options out there, however, most bettors usually choose between Smarkets or Betfair. Both have their pros and cons but I like to use Smarkets. Thanks to their low commission rate, using Smarkets as your preferred betting exchange is one of the easiest strategies you can employ to maximise your profit from no risk match betting. As I mentioned earlier, Smarkets charge a flat commission rate of just 2% which easily beats Betfair’s 5% rate. For ease of use and functionality, I also prefer their platform to their competitors. Another vitally important matched betting tip is to use as many bookmakers as possible. By this I mean take advantage of as many different offers and promotions as you can. As we’ve seen, there are hundreds of online bookmakers all offering their own incentives. The more you can take advantage of, the more profit you’ll make. Furthermore, the wider you spread your bets, the more likely you won’t have any problems with account gubbings etc. Fancy some more match betting tips? Check out this article. As you probably understand by now, there’s quite a bit to no risk matched betting. There’s different concepts to get your head around and a whole heap of new tools and software for you to use. However, don’t let that put you off. There are many different matched betting sites out there all aiming to help you increase your profitability whilst keeping the process as simple as possible. Here at The Sure Bettor, we’re no different. The aim of our site is to provide you with the best information and resources to help you succeed at matched betting no matter where you’re starting from. Why sign up at The Sure Bettor? One of the most time consuming parts of manual matched betting (going at it alone without any help) is finding the latest offers to take advantage of. With so many bookies out there and countless websites to check, this is a process best left to the experts. That’s why we do it for all of The Sure Bettor members. We have a crack team of matched bettors constantly scouring the internet for the latest and greatest offers for you to take advantage of. Our team of experts then add the offer to the members area along with advice on how best to tackle the offer in question. There are just a few requirements before you can get started with no-risk matched betting. You’ll also need proof of a UK address – for those outside the UK, you can check out our matched betting abroad guide. Don’t worry if you don’t have a clue about sports or betting in general, I didn’t when I started matched betting. We’ve built the site with complete beginners in mind so you’ll always find what you’re looking for. However, if you do get stuck with anything our support team are always on hand to help you out. So you want to get started with no risk matched betting? You’ve made a great decision. You can sign up for a free trial here at The Sure Bettor, no strings attached. If that’s not already sweet enough you’ll also have the potential to make £45 tax free cash right now. That’s it for today’s article on no risk matched betting, thanks for reading and we’ll see you on the inside very soon. What are your thoughts of no risk matched betting? Let me know by leaving a comment below right now.